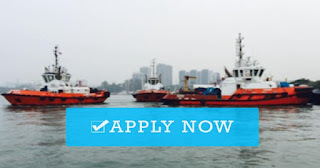 SEAMAN JOB INFO - Posted Nov/26/2018 C.S.C Manila INC. Urgent hiring Seafarers Filipino join on Towing tug area Europe operation deployment A.S.A.P. 3rd Floor. EMI Bldg. Leveriza St. Cor. 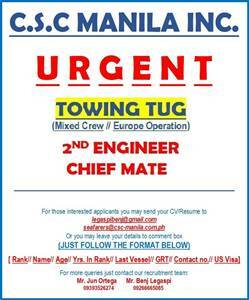 Quirino Ave.
0 Response to "Urgent Hiring Towing Tug Crew Europe Operation"